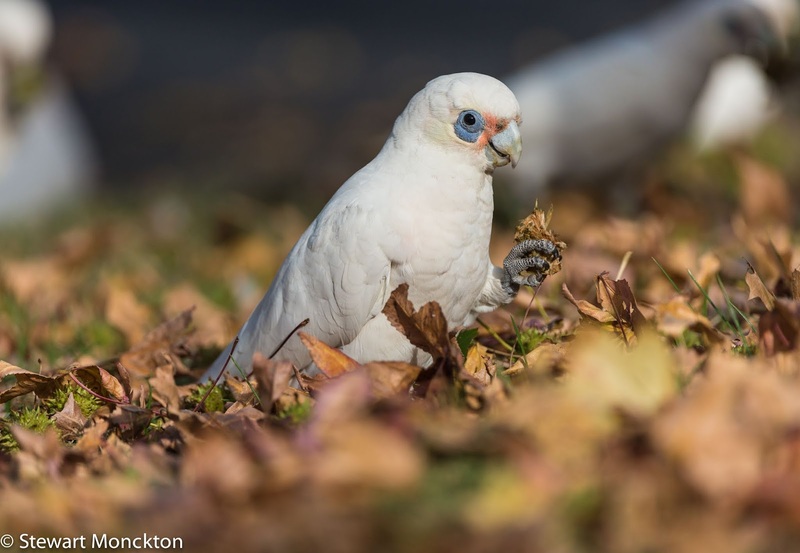 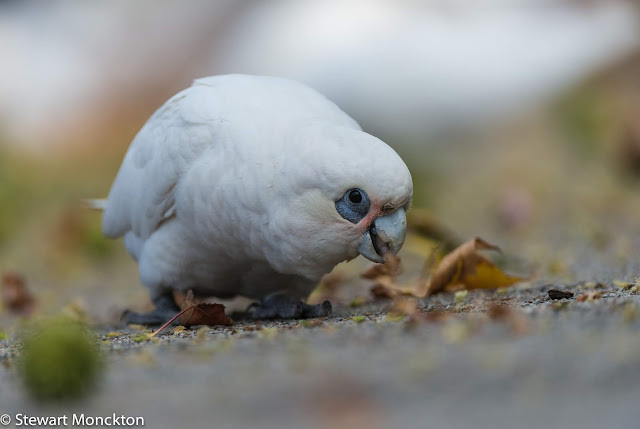 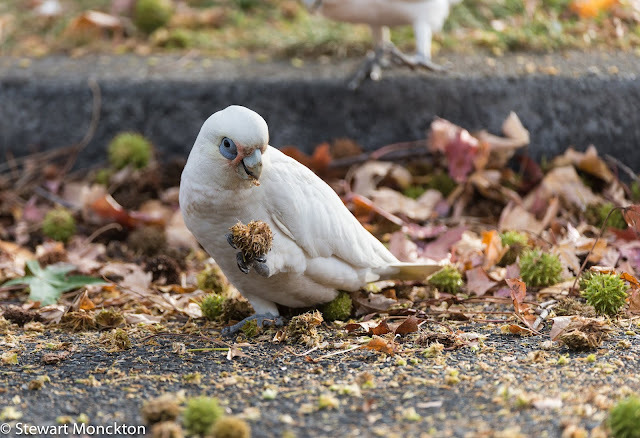 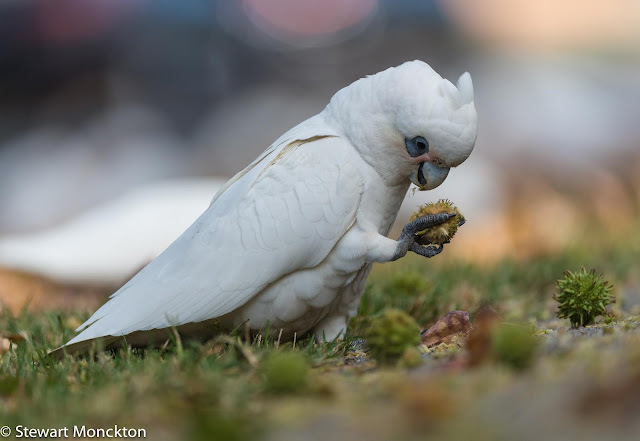 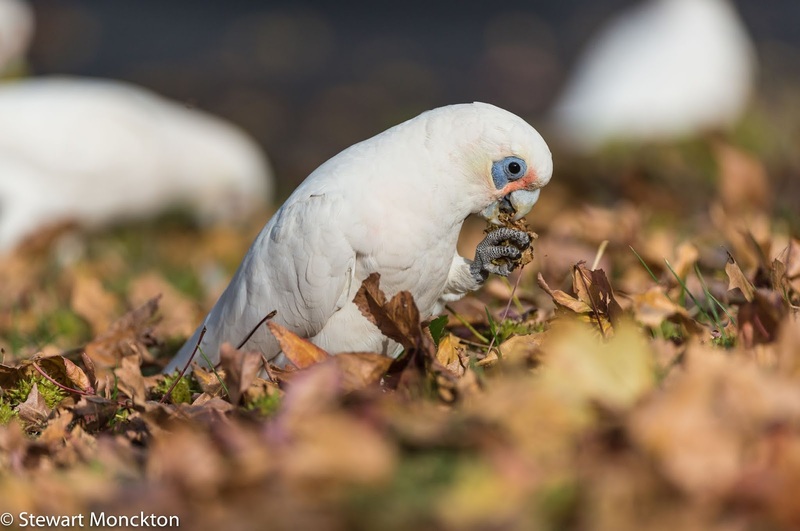 It's a sure sign (at least to me) that autumn has arrived when the flocks of Little Corellas (Cacatua sanguinea) return to feast on the seeds of out street trees. 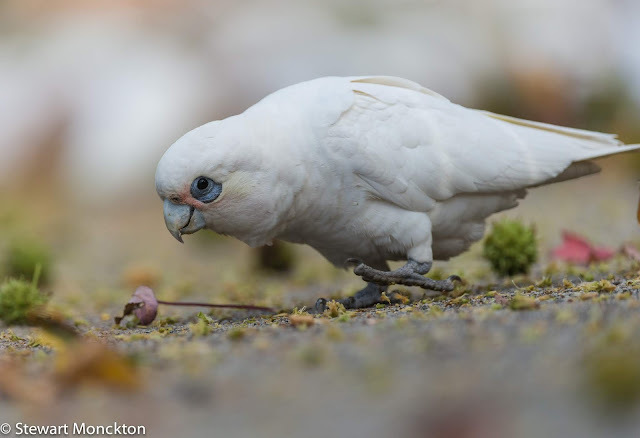 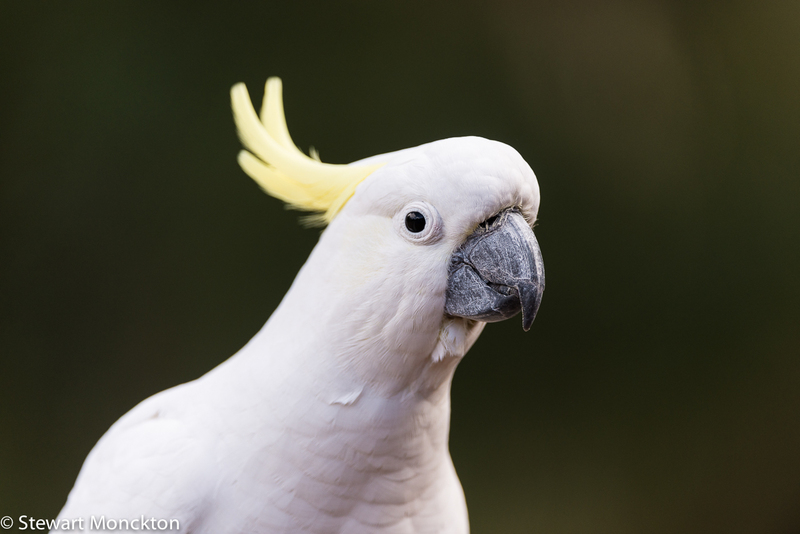 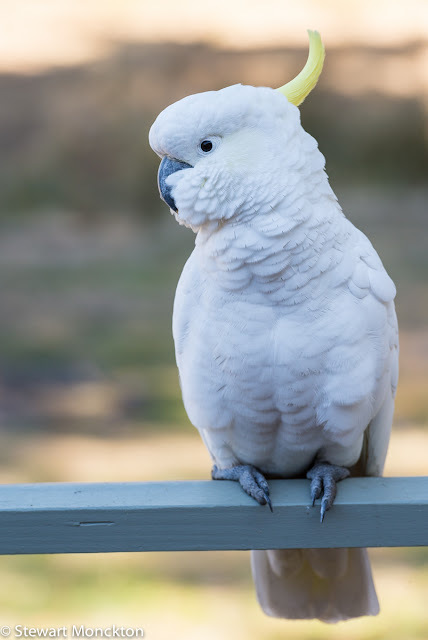 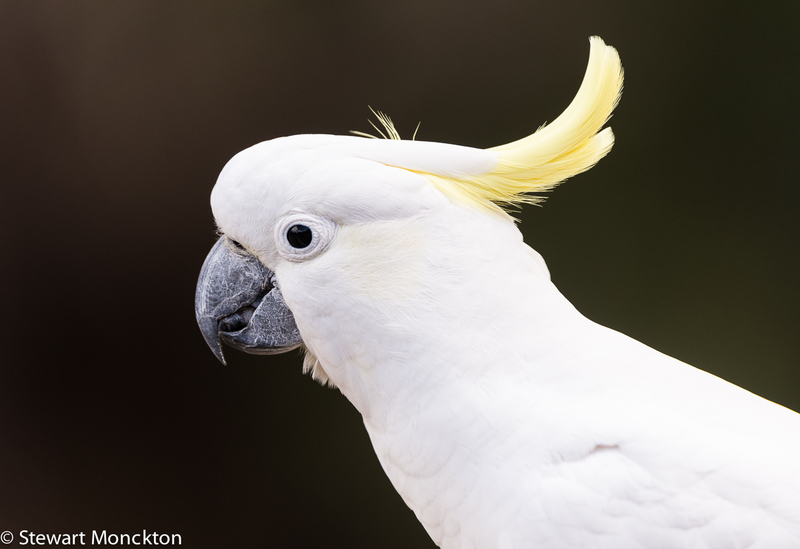 Little Corellas (and Corellas in general) are part of the broader parrot group - and as a result they are smart, comical and noisy. 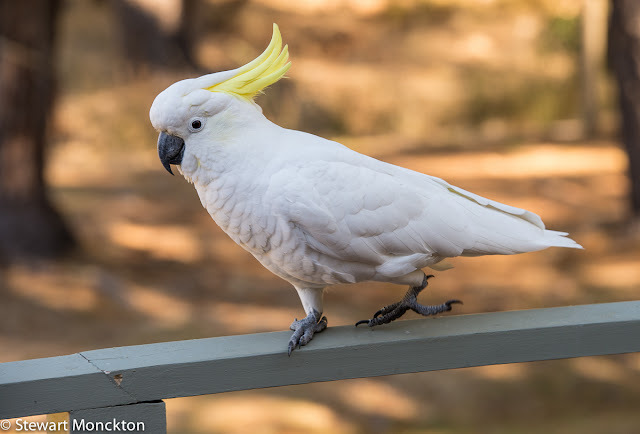 In the case of this species, very noisy. 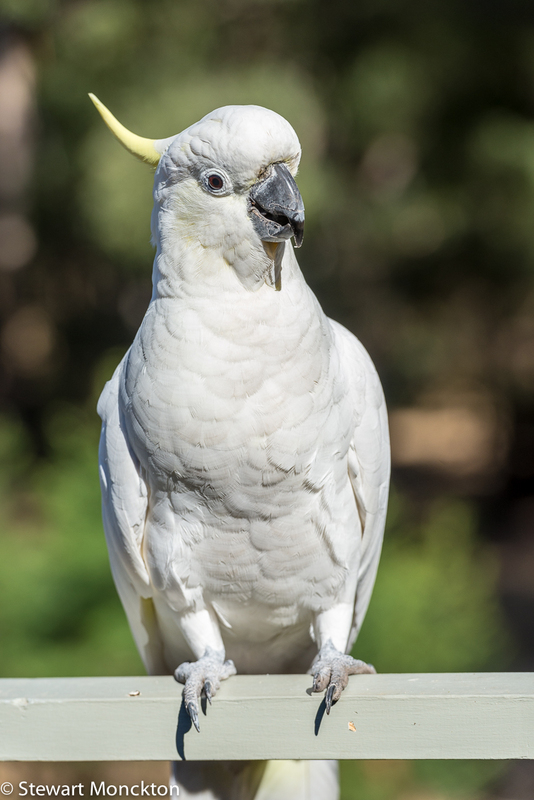 These birds are part of a flock of at least 100 or more birds that were feeding on Liquid Amber seeds. 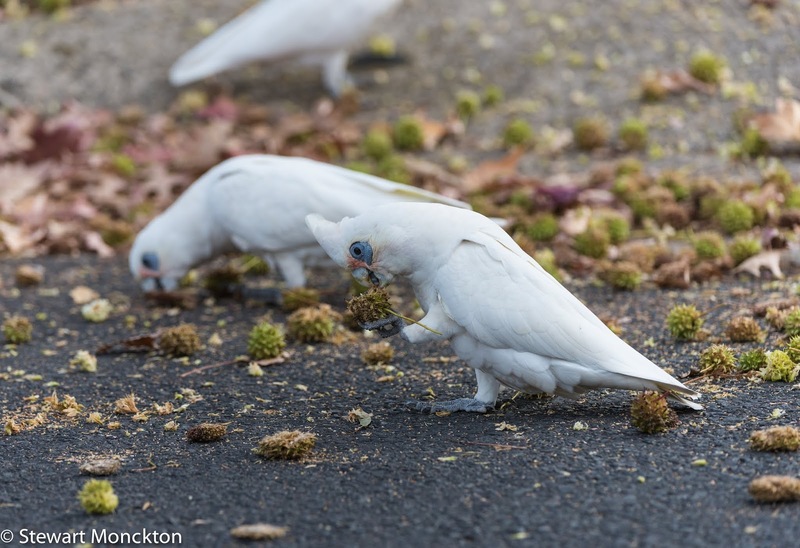 They were reasonably cooperative - but once again, my car acted as a good hide and once again I was laughed at by passers by for lying flat on my stomach, with a camera, in a public place. 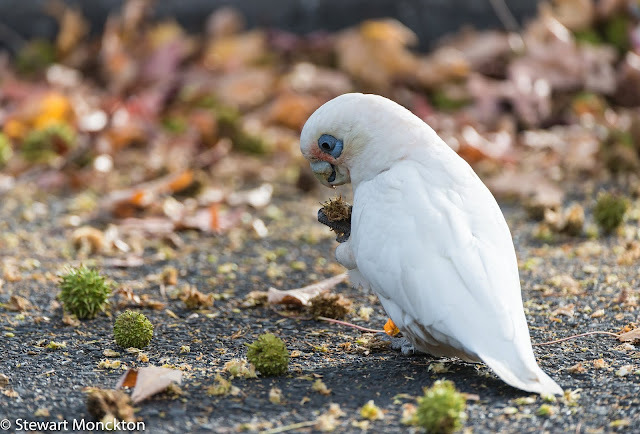 I really like the shots of the bird on its back, playing with the seed pod. As ever you can join in with WBW by clicking the blue button below the thumbnails. 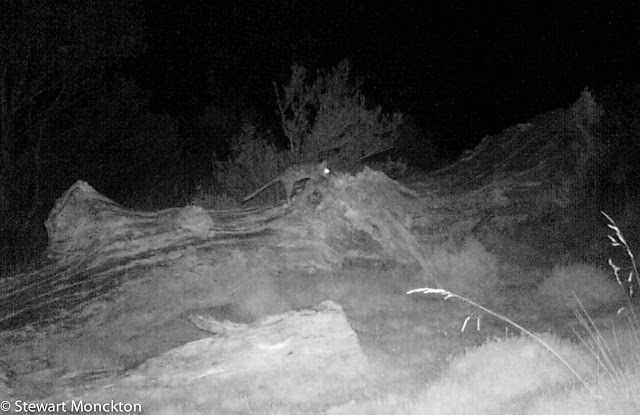 Eastern Quolls are small, nocturnal marsupial predators - think cats with pouches! These animals were once widespread in SE Australia, but are now probably extinct on the mainland. 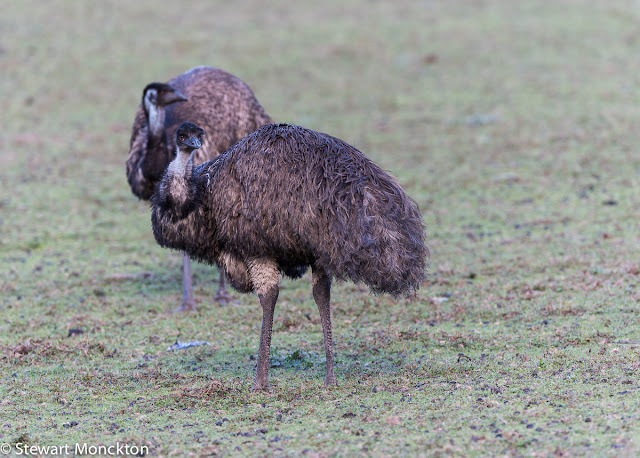 However, they are reasonably common (in the right habitat) in Tasmania - and I was really pleased to get some (very grainy) footage of one during January. 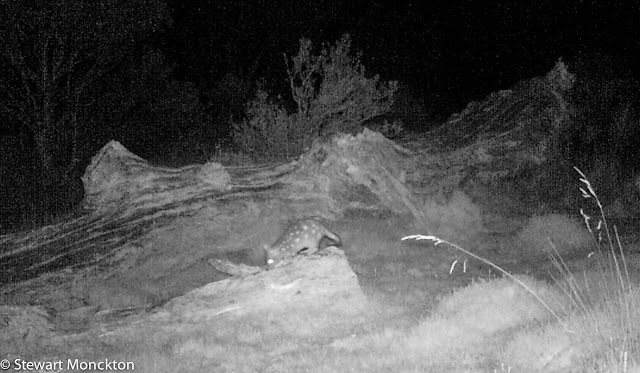 Eastern Quolls (Dasyurus viverrinus) have a total length - head, body and tail of about 40 - 70 cm and they weigh between 0.7 and 2kg. 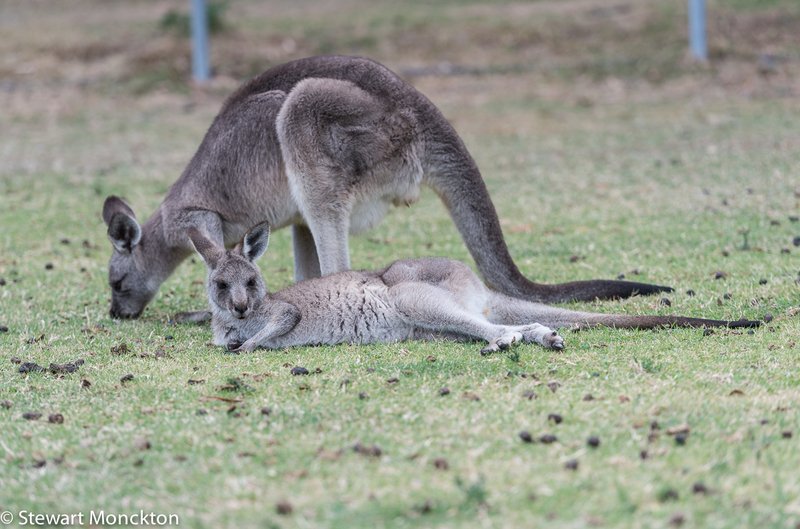 And yes, they do have really good flank spots! 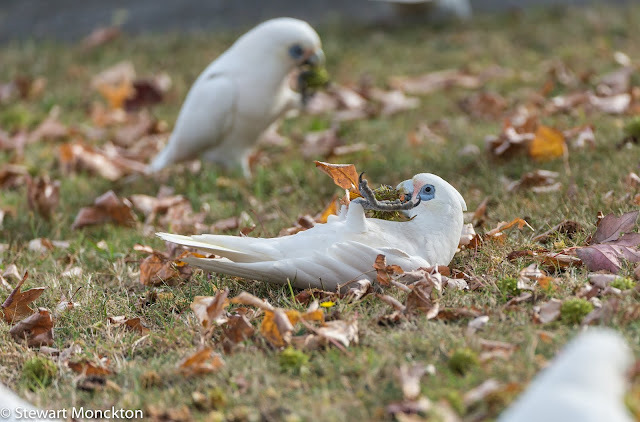 Most of their diet comprises invertebrates, but they will also take carrion. 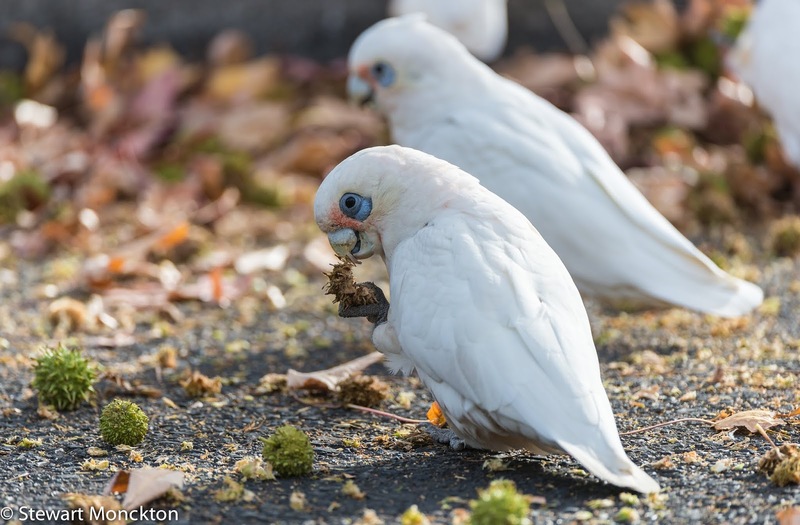 Basically they will eat pretty much anything they find! 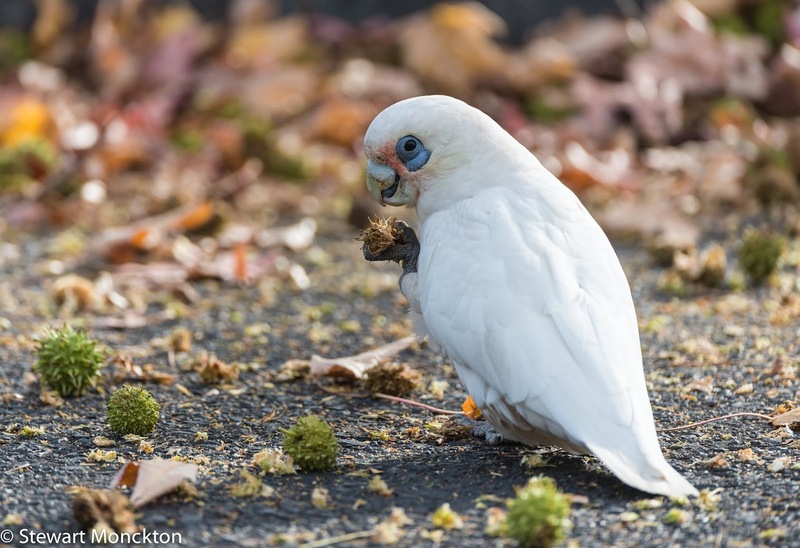 The logs in the video had some strange looking scats on them - and I hoped that they were from quolls. 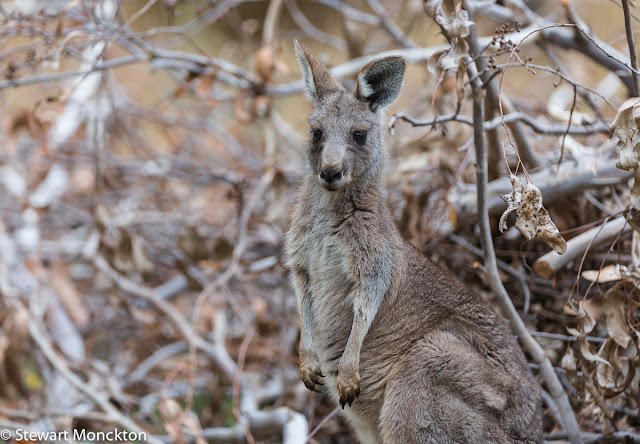 I scavenged a few large months that had had a bad experience with electric lights (!) and a few bits of what I think were the remains of a rabbit, and left them on the log and stump. 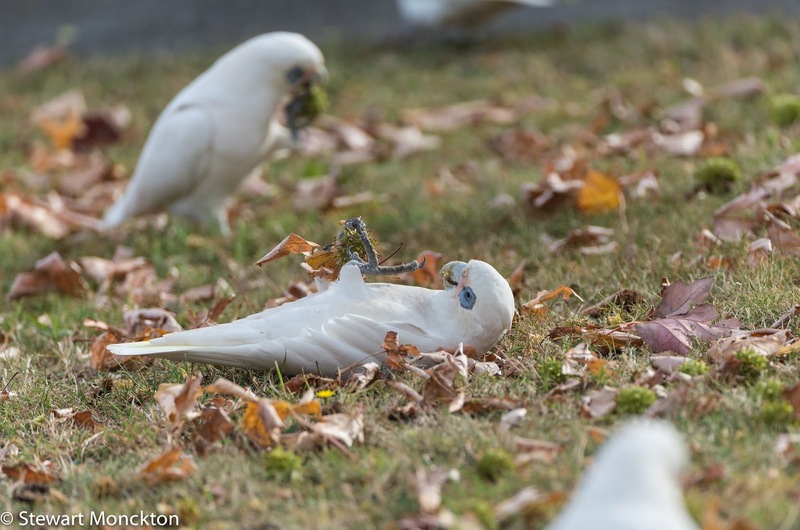 It seemed to work! 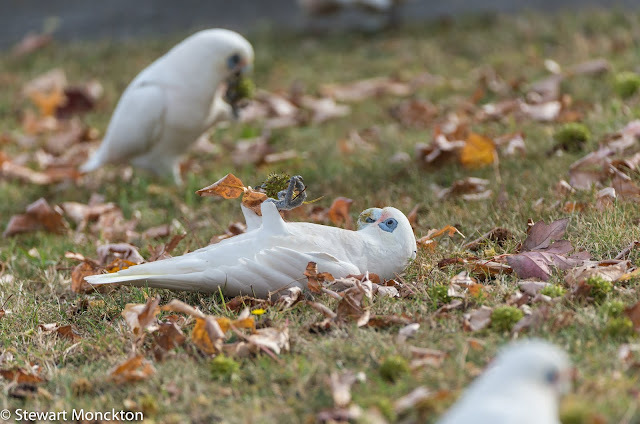 The second of the two videos is the better one! 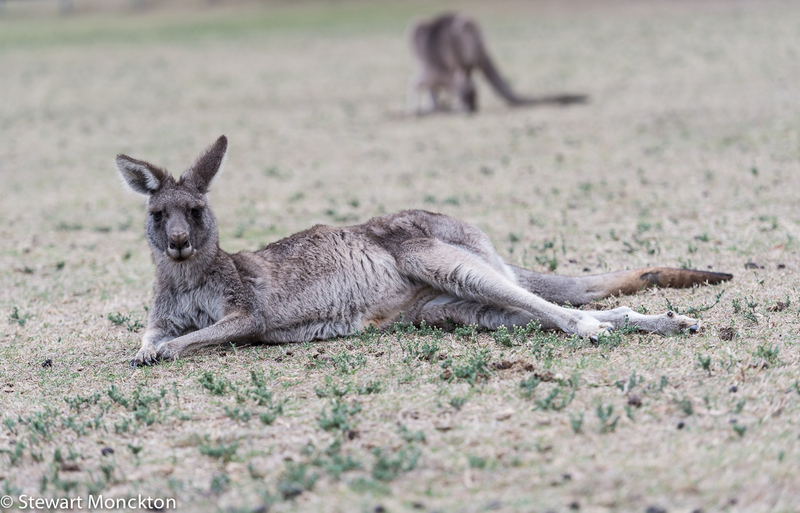 It's another photo essay this week - although there is some sign of relaxation on the horizon! 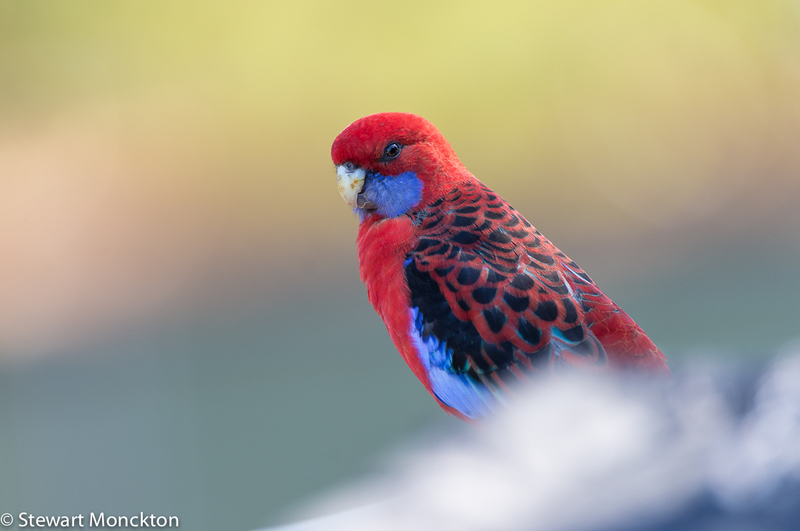 These birds are Crimson Rosella (Platycercus elegans) and it's not hard to see where that common name came from! 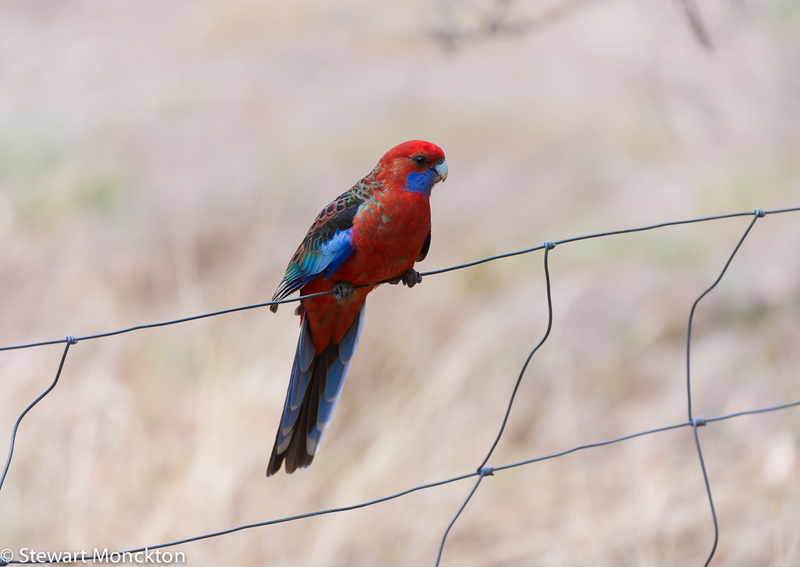 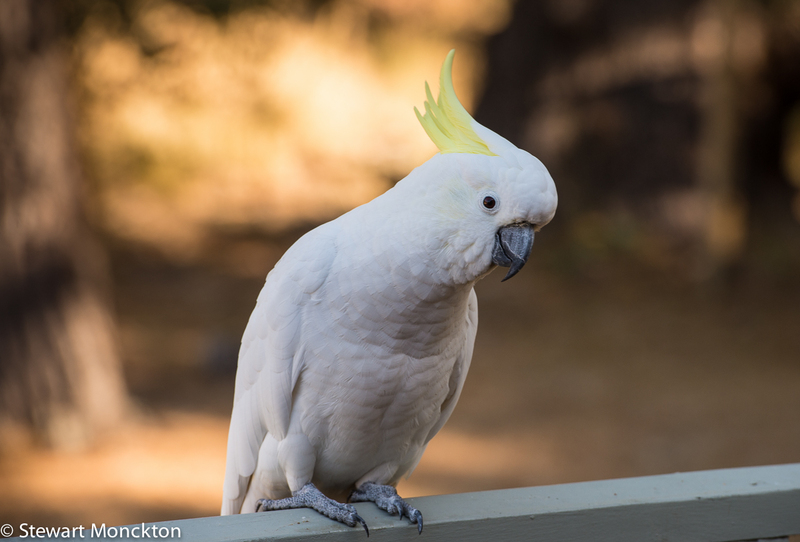 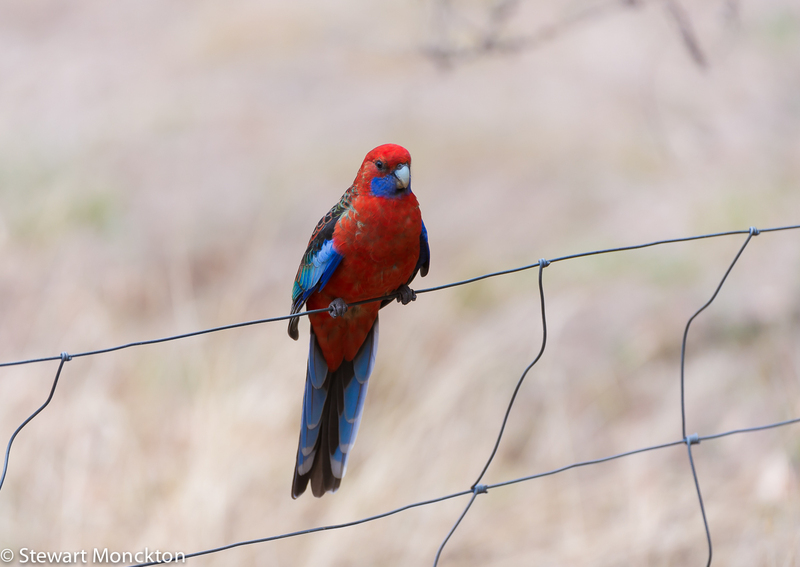 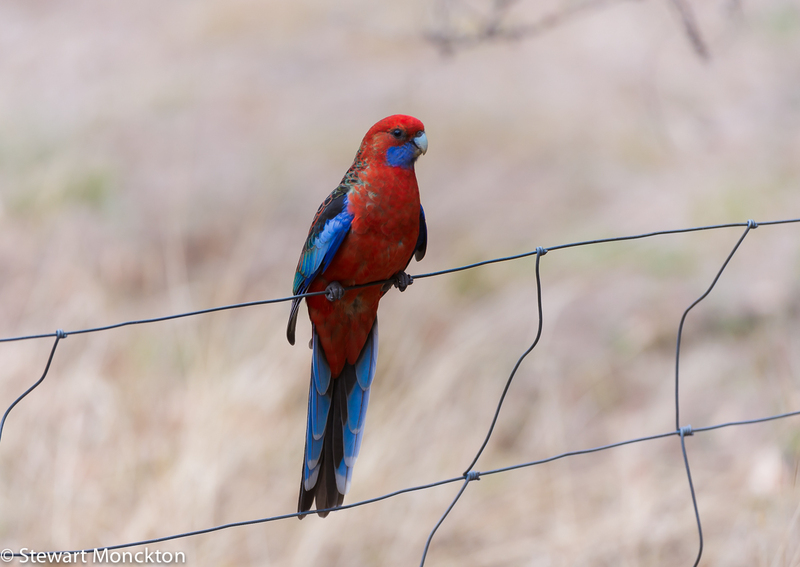 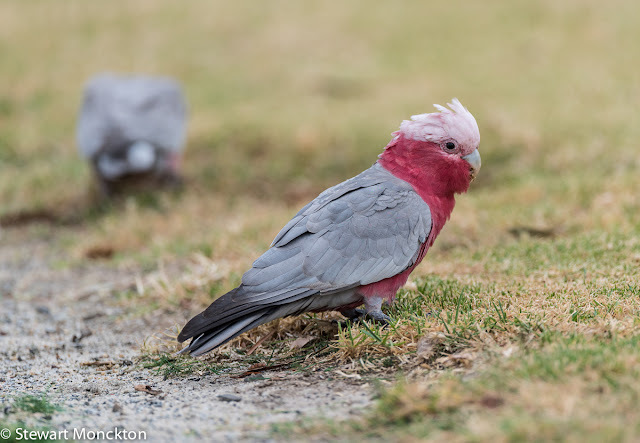 These bird were regular, if rather timid, visitors to the house we rented in Halls Gap, in the Grampians a few week ago. 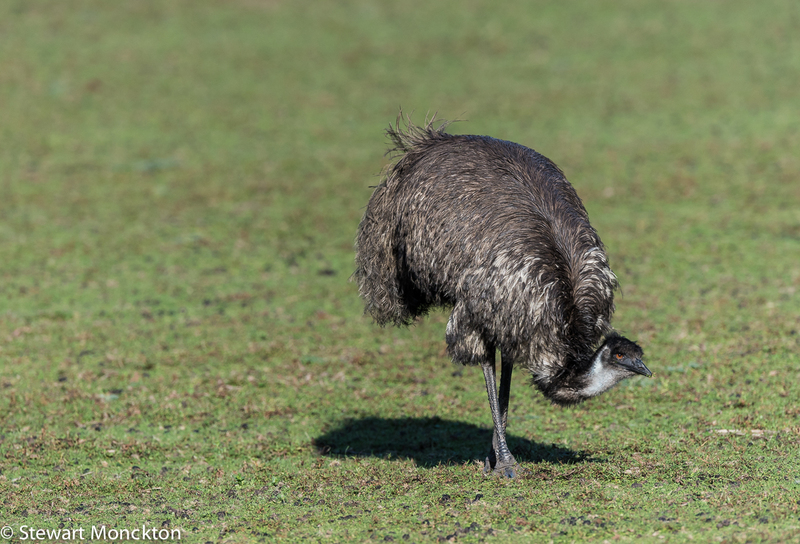 This is where a long lens is very useful. 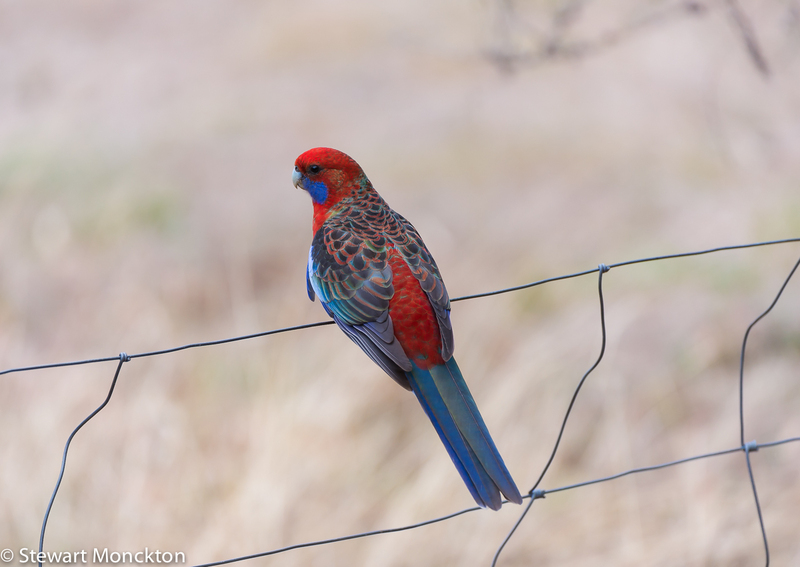 I managed to get a pictures of these birds on a couple of mornings, but I may have to leave some for a later date. These guys are adults, and they really are these colours! 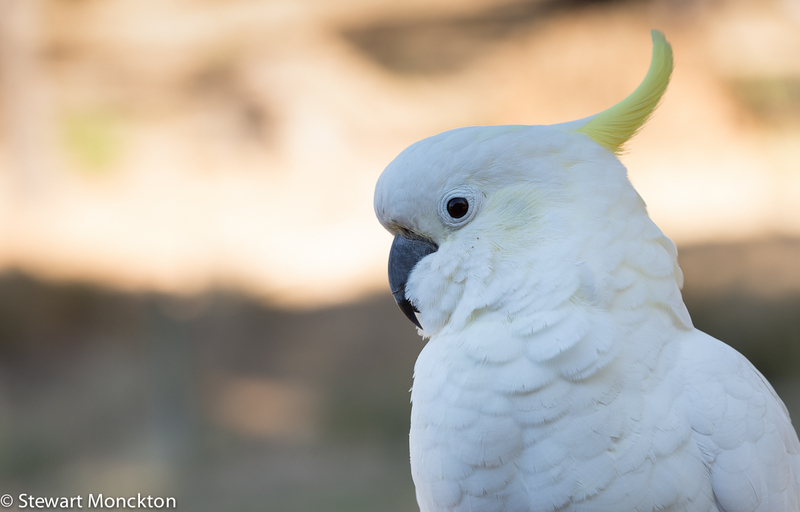 It been a very, very busy week - so this week's WBW is rather more of a photo-essay than anything else. 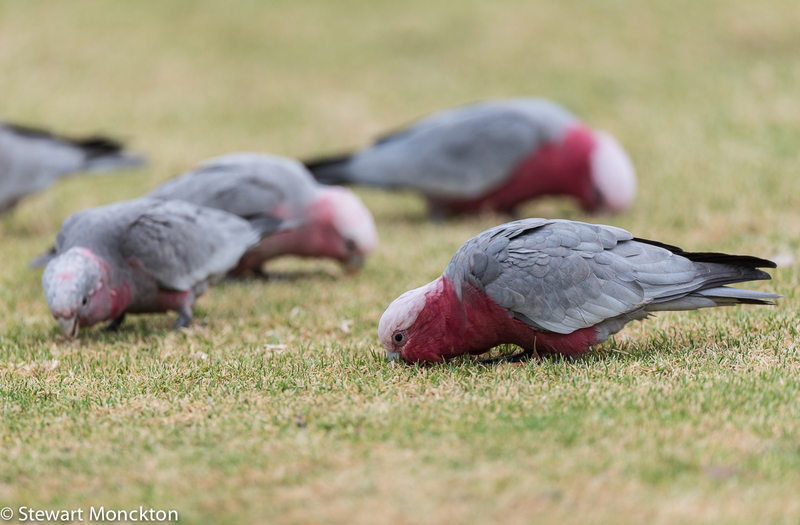 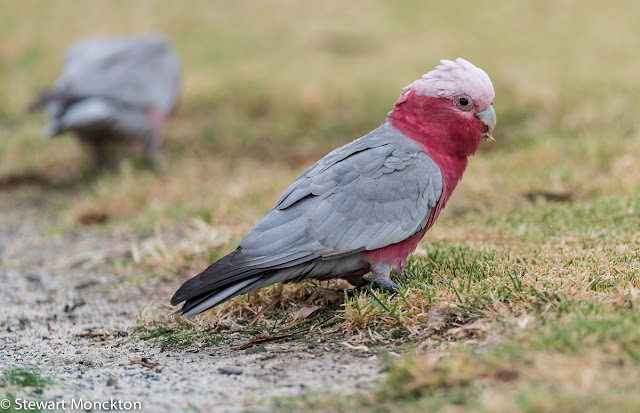 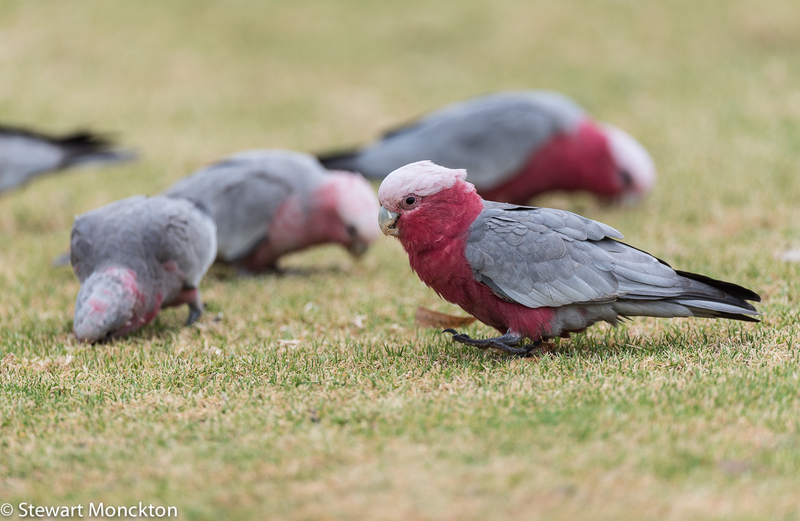 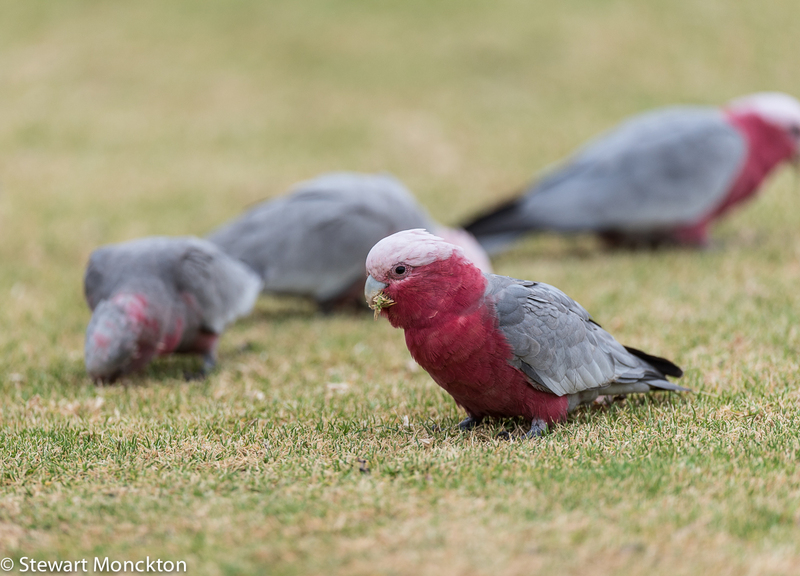 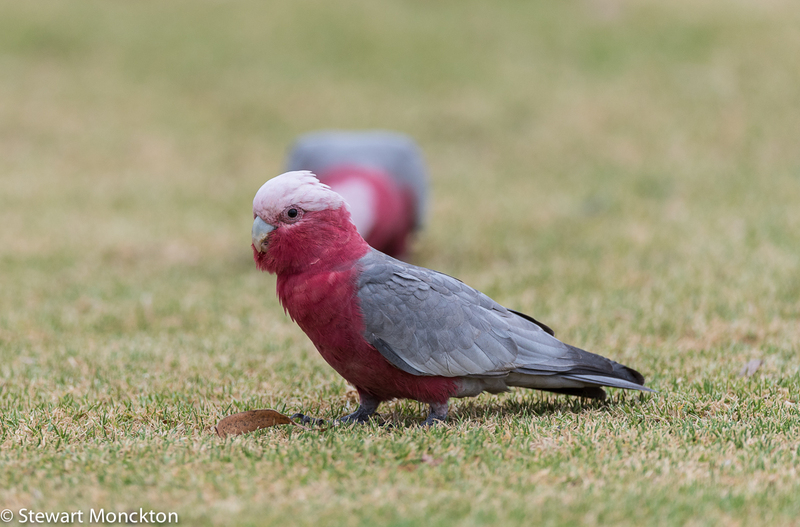 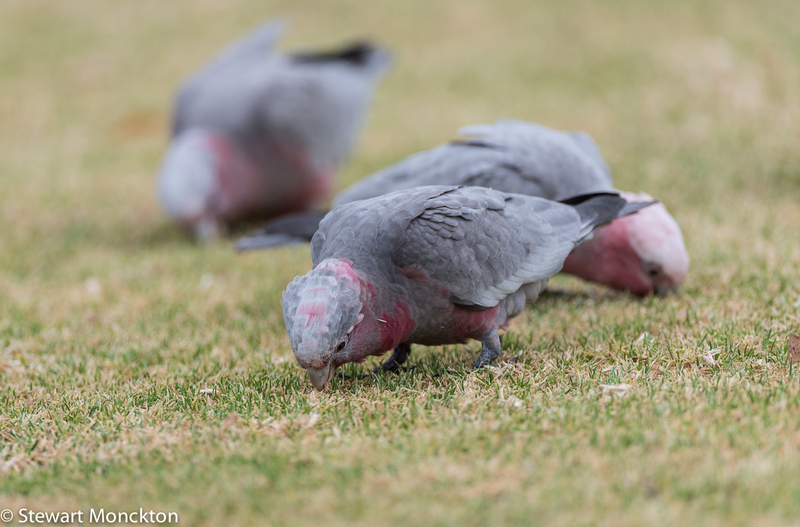 These birds are Galahs (Eolophus roseicapilla) which were feeding on a sports oval. 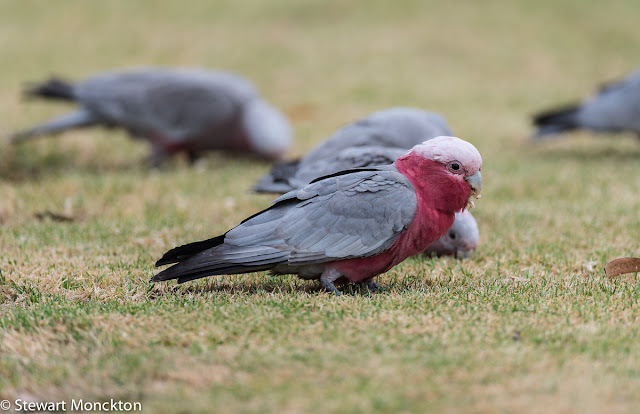 The bird with the grey looking head is a young bird. 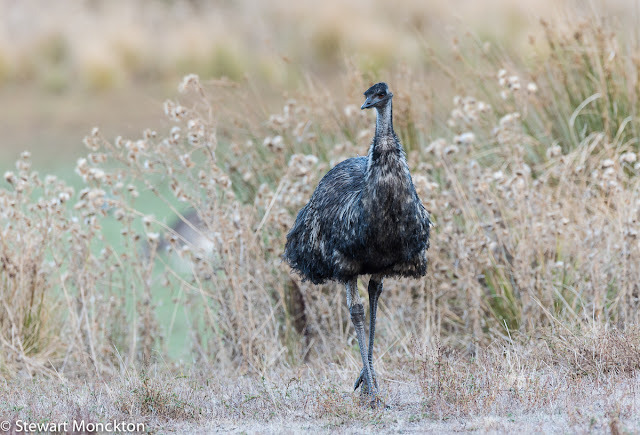 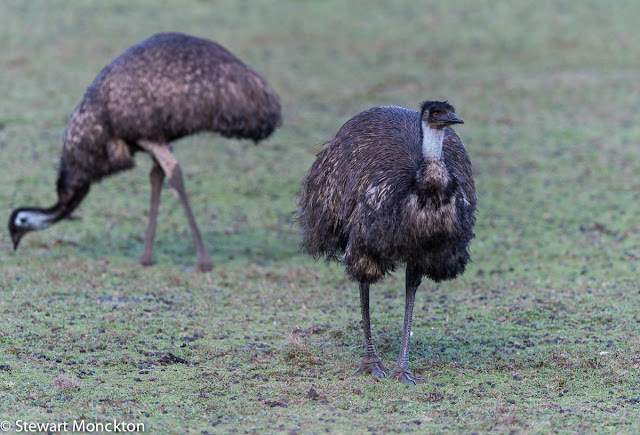 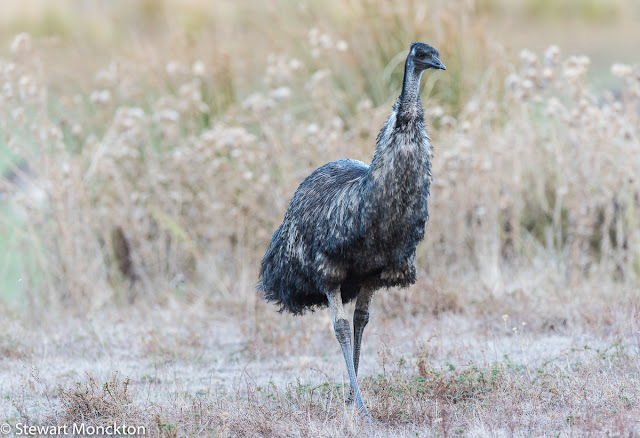 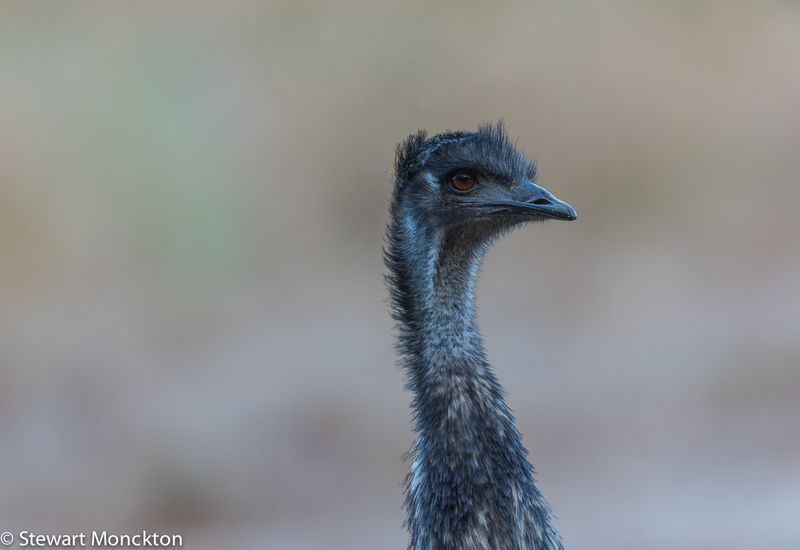 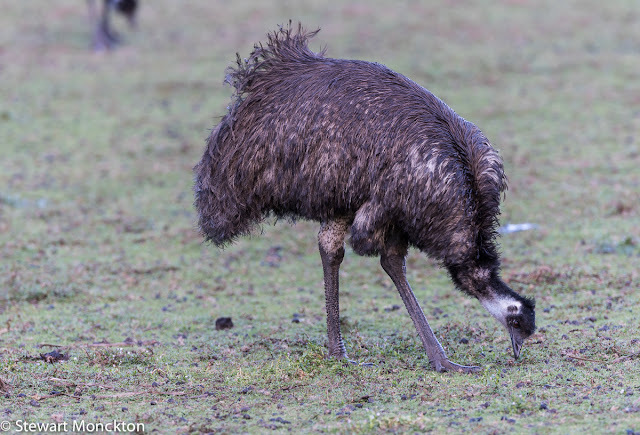 The Emu (Dromaius novaehollandiae) is Australia's second largest bird, standing between 1.5 and 2m tall and weighing in at 26-50kg! By any standards that's a large bird. 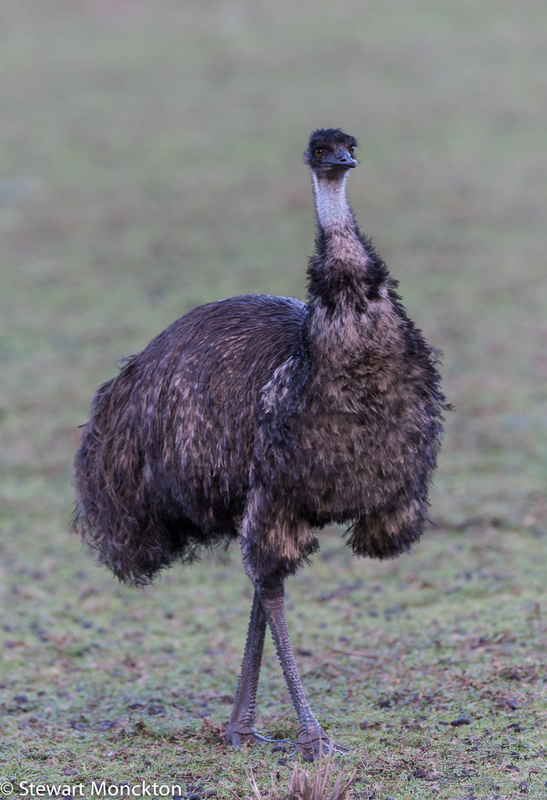 Being a flightless bird it can run at about 50km per hour and is a surprisingly good swimmer. 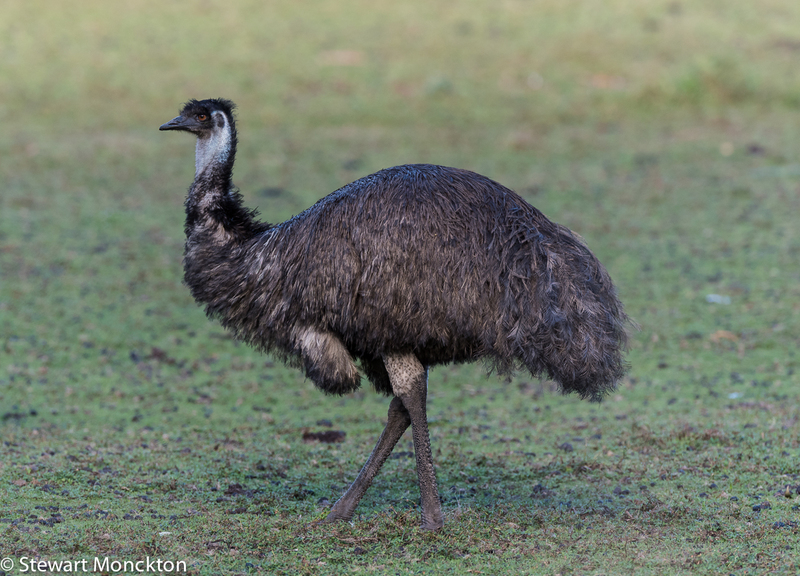 (The bit about swimming is taken from the books, not my own observation). These birds were in a damp paddock near Halls Gaps, and being an inquisitive sort of bird they eventually came so close to me that I could no longer focus the lens on them. 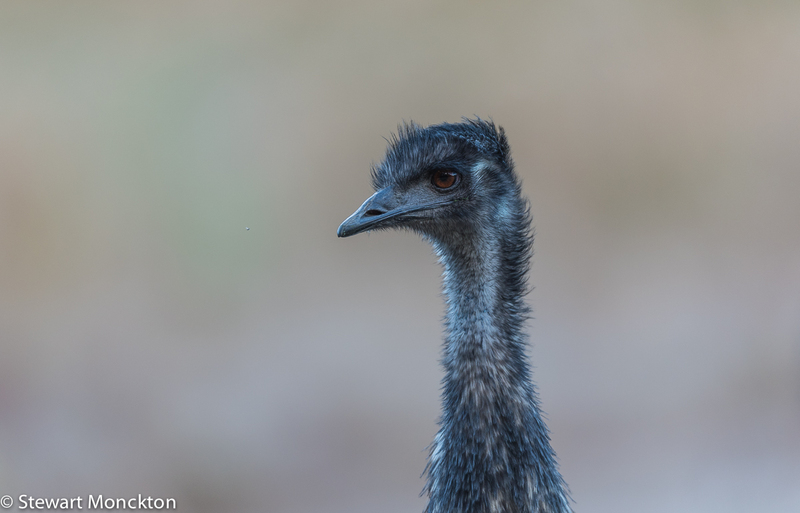 I rather like the two head only shots, not just because they are sharp, but because they include a fly in each picture! In may even be the same fly! 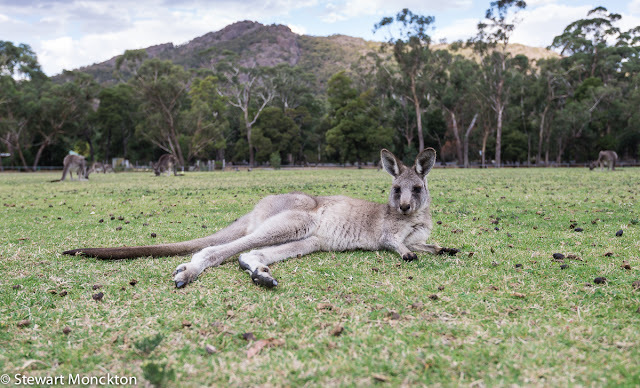 These Eastern Grey Kangaroos (Macropus giganteus) were loafing about on the football oval at Halls Gap in the Grampians. 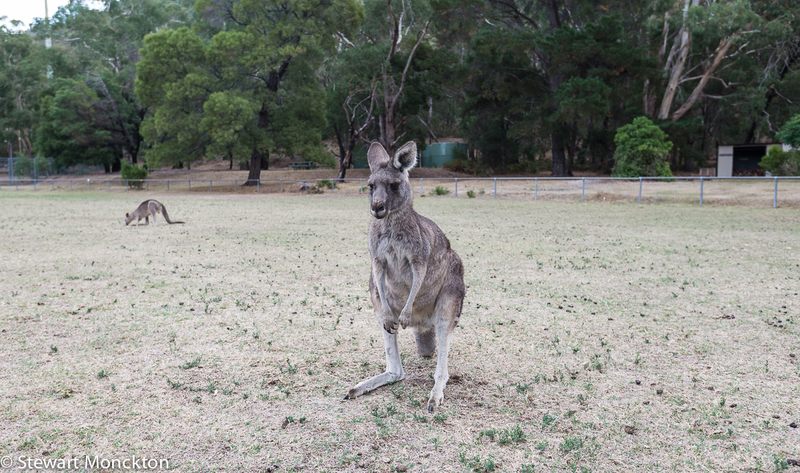 They gather there in (surprisingly) large numbers most days and are a bit of a tourist attraction really. 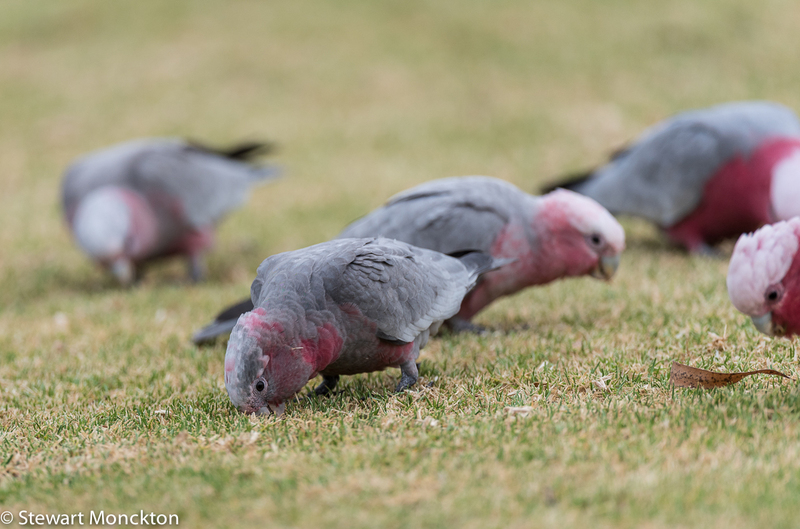 These are the most abundant - some would say over abundant - in my neck of the woods. In some places where they are fed by tourists, they can become rather aggressive, especially when they are trying to get food. 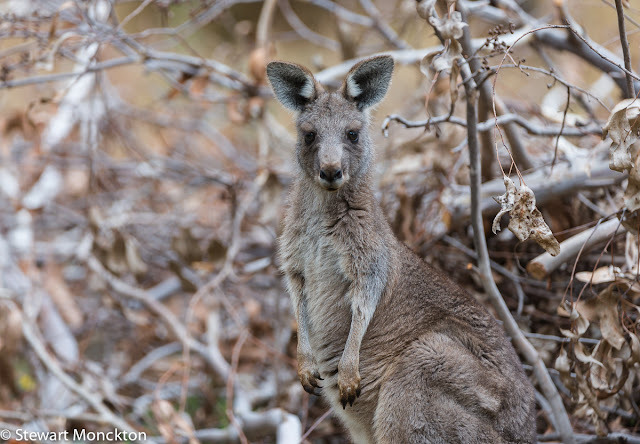 As with many other wild animals, some people seem to forget that they are wild and not zoo animals. 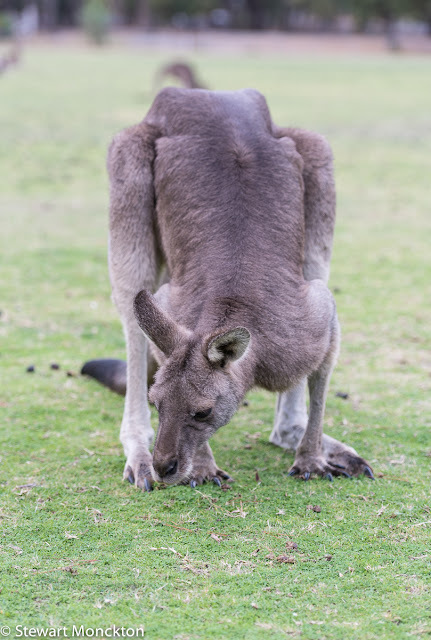 A number of people have been hurt by this type of 'roo - slashed with the claws on the back legs. 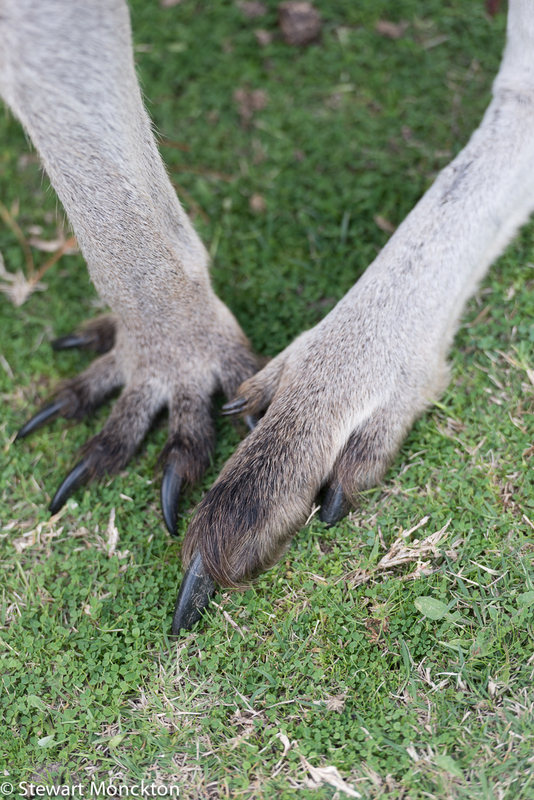 As you can see from the pictures, these claws are not small! More pictures from my trip to the Grampians in Eastern Victoria rather than Scotland! 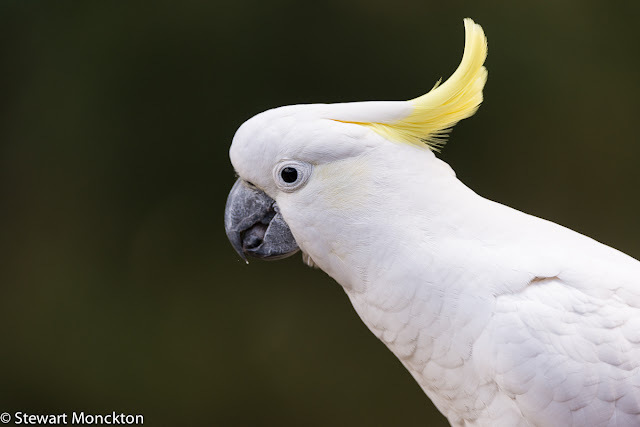 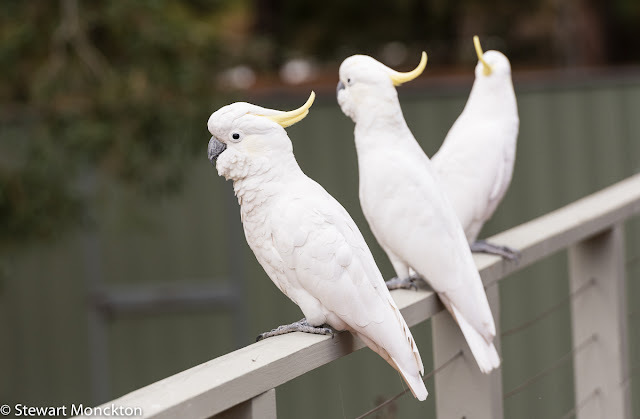 These are Sulphur-Crested Cockatoos (Cacatua galerita), which are a wide spread Australian Cockatoo. At about 50cm they they are pretty large when seen close by. 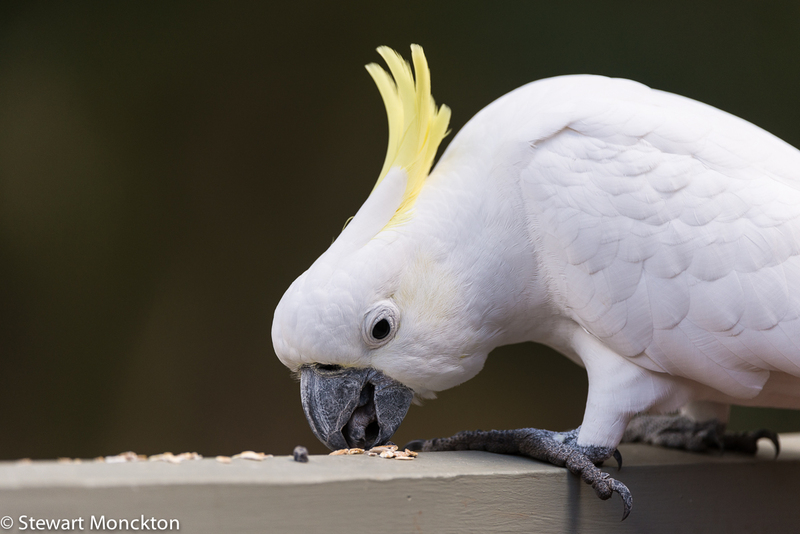 These birds are noisy and clearly intelligent, and can do a bit of damage as they seem to like eating housing materials! 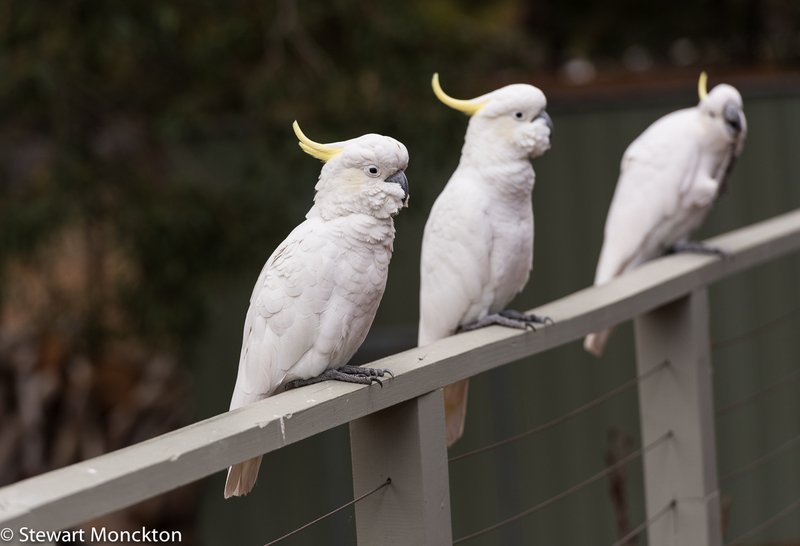 Somebody must have spilt some muesli on the fence in the past, as the birds often came to visit at breakfast time. I have to say they were great early morning company.